Home > Astronomy > Astronomy: If we successfully land on Mars, could we live on Mars? 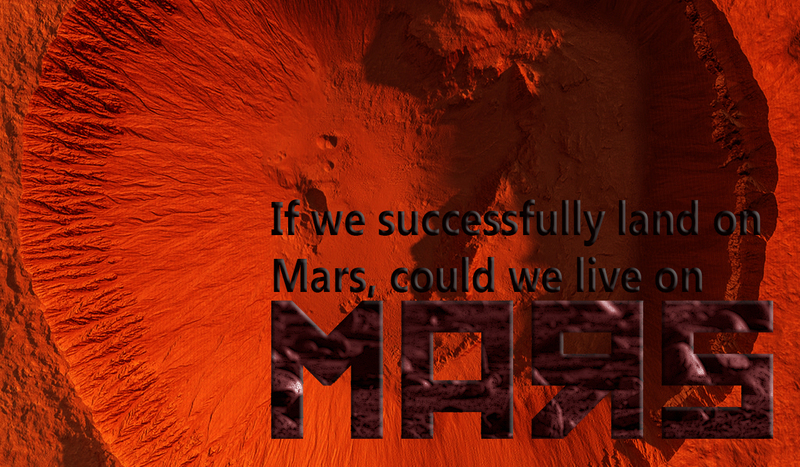 Astronomy: If we successfully land on Mars, could we live on Mars? Although Earth and Mars are called '' Sister Plants '', due to the similarities between them, especially in terms of size and closeness to the Sun, but the red planet is not at all a good environment for humans, even deadly. But why Could we actually not live on Mars? First, the temperature on Mars varies between 21 and -142 degrees Celsius, the lower limit being not at all favorable to humans. At the same time, red dust could destroy the equipment and health of those who venture there. In addition, vehicles sent to Mars have proven the existence of chemicals in the soil called perchlorates, overexposure to them may lead to thyroid problems. Also, dust can also contain carcinogenic substances or that could cause allergic reactions or even burn the skin like a bleach. Another reason why people could not live on Mars is that the Armstrong limit, or the altitude at which atmospheric pressure is so high that the water boils at the temperature of the body is beyond human acceptability. Basically, if people went without protective suits on Mars, saliva, tears, mucous, and water in the lungs evaporate. Even if people could wear protective suits on Mars, the too low gravity of this planet which is 38% of Earth's would cause people to lose muscle mass, diminish their legs and disturb their hearts. At the same time, people would do osteoporosis, and calcium from the bones would get into the blood, leading to constipation, kidney stones, and even depression. The only little advantage of life on Mars would be that, due to lower gravity, people would be a little taller.